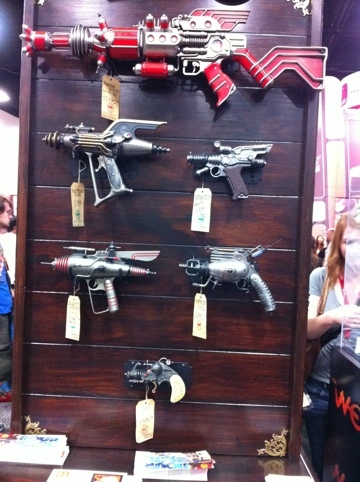 For the steam punk, retro sci fi lover in you comes these FREAKING AWESOME ray guns from Dr. Grordbort. If I were rich, which I’m not, I would totally have a wall of these things. It is a good thing I have a very strict budget when I go to SDCC.